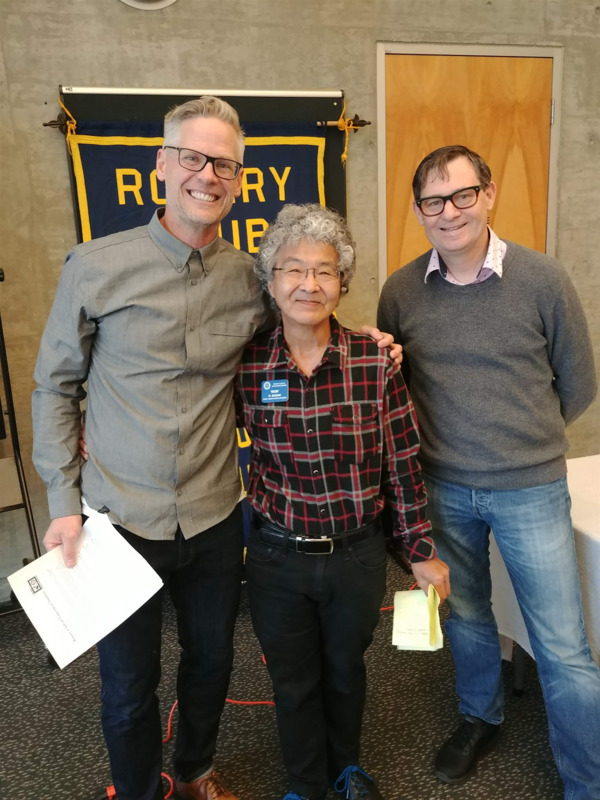 This week we welcomed 12 members as well as visiting Rotarian Lee Ingamells from Hawaii. * Project Amigo Day of the Dead dinner is canceled. The cost is $25 per person and includes 2 hours bowling, some food & refreshments, and shoe rental. Proceeds go to their water harvesting project. October 24 is World Polio Day. 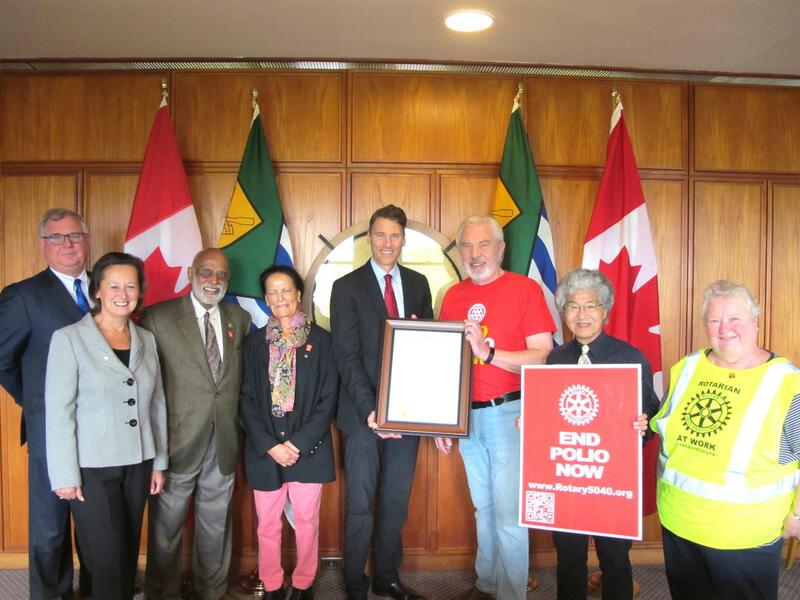 The city of Vancouver had a World Polio Day proclamation with Mayor Robertson of the City of Vancouver. Our guest speaker today was Trevor Stokes, from the Streetfront Alternative Program.